These large acrylic paintings are rendered on sand and canvas and show endangered vanishing animals. The greatest success story is that the tools we have at our disposal to protect our environment and wildlife are actually working! Conservation projects can help bring species back. Given the immense challenges ahead, with overall biodiversity at threat due to climate change, land use changes and pollution as well as cases of extreme poaching of iconic species such as rhinos, elephants, leopards, gorillas and others we need to pursue ambitious conservation projects to keep our planet intact for future generations. 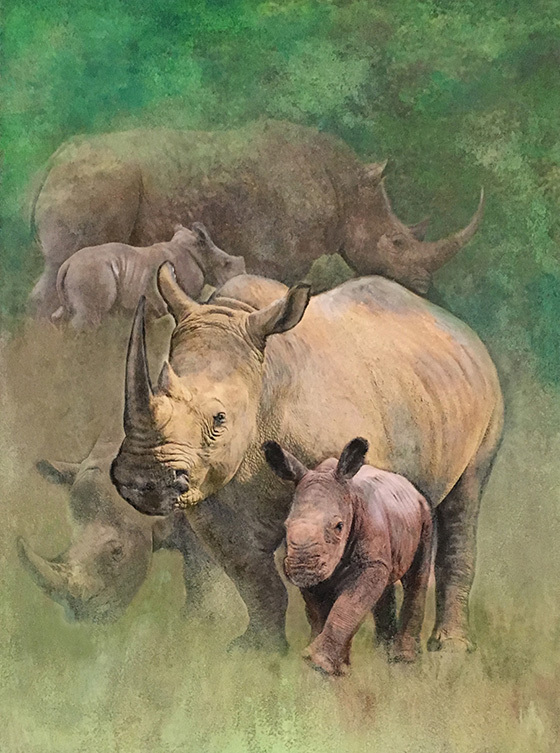 Artwork can express the diversity and beauty of these animals, highlight what we are in danger of losing, and inspire efforts to increase their numbers and protect them.